Dr. SRK. Prasad was born in Chennai, India in 1951. He holds a Bachelor of Technology (B.Tech) with distinction in Chemical Engineering from Madras University. He obtained his Post Graduate Diploma in Operations Research also from Madras University and pursued his Master of Science (MSc) in Advanced Chemical Engineering from Imperial College, London. He was awarded Doctor of Science degree (DSc) from City University Los Angeles, USA in Operations Research. He also holds a Diploma in Textile Management awarded by SITRA (Southern India Textile Research Association), Coimbatore. Dr. Prasad is the Correspondent of Coimbatore Institute of Technology (CIT), Managing Trustee of V.Rangaswamy Naidu Educational trust, Chairman Governing Council of CIT. He is also Managing Director of Krishna Industrial Corporation Ltd a company with annual sales of 400 Million rupees engaged in the manufacture of Chemicals, Fertilisers and Bio Fertilisers. Dr. Prasad is also Managing Director of Kasbah Systems Software, a I.T Company based in Chennai/Coimbatore, which has produced world class products and services both for the domestic market and exports in the field of CAD/CAM/CAE, ERP, Optimisation, Client/Server & Web technologies. Dr. Prasad has a wealth of industrial experience in Textiles, Information Technology, Chemical, Fertilizers and Bio-Technology. Dr. Prasad was appointed as Alumni representative of Imperial College in India for Coimbatore, 1999. 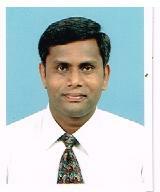 Dr. Prasad is Associate Editor & Paper Referee Of Asia Pacific Journal of Operational Research, published from Singapore. He was the National President of Operations Research Society of India, 1990. He has published number of research papers in Mathematical Modelling and Computer Simulation in leading International Journals. Dr. Prasad started and built very high technology IT Company in 1988 involved in high-end product development. Kasbah Systems Software began developing the Optimal Feed mix program for the Poultry industry, and this software package is widely being used by the Poultry industry in India, resulting in huge savings for the various poultry farms in the country. The software company has recently released the SHINE Point of Sale system and the complete retail solution being marketed in Europe, Middle East and India. The IT Company has also developed GENIUS University Management System which involves complete automation of a college or university process. This system is being effectively marketed in Malaysia. Kasbah Systems Software is the one of the prime offshore contractors for CCH Inc, U.S.A, a US 6 billion dollar company. The Document Management System (ProSystem fx Document) developed by the IT Company (100% offshore in India), won CCH the CODIE award 2008, the most Prestigious award for Software in U.S.A. The CODIE award is for the software industry what the OSCAR award is for films. Dr. Prasad is also currently Managing Director of Krishna Industrial Corporation Ltd at 50 Crore enterprise involved in the manufacturing of Single Super Phosphate, Carbon dioxide gas, Chemicals and Bio-Fertilizers. He plans to take this company to 100 Crores in the next three years. He has widely employed process plant optimization methods to improve the efficiency and working of all units of the company. This is the first Indian company to win the Prestigious Gold Medal award for Excellence in Business Practice given by foundation for Excellence in Business Practice, headquartered in Geneva, Switzerland, September 2007. He is also a Director of the Jeypore sugar Company Limited, headquartered in Chennai, 500 Crore enterprise involved in the manufacture of Sugar, Alcohol, Ethanol and Power generation. •	Vikas Jyoti Gold Medal And Award. •	Best Citizen Of India. Dr.Prasad was awarded the International Socrates Award for ‘Manager of the Year’ by the Europe Business Assembly (EBA), Oxford , U.K. on 12 December 2011. Dr.Prasad was awarded HIND RATTAN AWARD by CITIZENS INTEGRATION PEACE SOCIETY for excellence in promoting Global Integration & Economic Development at the International Conference on Celebrating the Global Indian, at Mauritius, May 2012.
International Socrates Committee has granted the title “The Name in Science”, to Dr.Prasad, at the meeting of the Rectors of Europe at Trinity College, Dublin, Ireland, UK, during July 2012, an International Award in the field of Scientific Researches. Name of Dr.Prasad has been recorded in the world register of outstanding scientists of the 21st century with awarding a medal of fame “For contribution to world science”. •	Fellow Member of Operational Research Society of India. •	Has the distinction of being the only one in Tamil Nadu, one of the four in South India and one among the elite seventeen in the entire country. •	Fellow Member of Chartered Computer Professionals of India. •	Member of New York Academy of Sciences, U.S.A.
•	Chairman Board of Governors National Institute of Technical Teachers Training and Research, Chennai. •	NATIONAL BOARD OF ACCREDITATION – (An Autonomous Body of All India Council for Technical Education) – Member to the Committee for facilitating India to be a full member of Washington Accord. •	Ex-Member of Board of Governors Indian Institute of Management, Kozikode. •	Operations Research – An important tool in managerial decision making, INFORM, June 1978. Vol 2, No 12. •	Cotton Yarn sales forecast in a spinning mill, The Indian Textile Journal, November 1978. •	Computer simulation technique in a spinning mill, The Indian Textile journal, October 1980. •	Two phase stochastic model for a fluidized bed reactor – 33 rd Annual session of Indian Institute of Chemical Engineers, New Delhi 1980. •	Probabilistic models for packed beds – 33rd Annual session of Indian Institute of Chemical Engineers, New Delhi, 1980. •	Scheduling of production in a seasonal sales industry, Proc.I.S.T.A.M (Indian Society of Theoretical and Applied Mechanics), India, December 1980. •	Three phase stochastic model for a fluidized bed reactor, CHISA 81, Praha, Czechoslovakia, September, 1981. •	A mathematical model for the resident time distribution studies in fluid-solid systems – 2nd World Congress of Chemical Engineers, Montreal, Canada, October 1981. •	Proc. symposium series, 10 th congress on stochastic processes and their applications, Montreal, Canada , August 1981. •	Probabilistic mixing cell model-PACHEC’83, Seoul, S.Korea, 1983. •	Residence time distribution studies in fluid- solid systems using Markov Chain analysis, 35th Annual Session of Indian Institute of Chemical Engineers, Waltair, January 1983. •	Software package for optimal utilization of scrap in a foundry – National seminar on development of micro-computers in India, Madras,India , October 1983. •	Microprocessor based multi-processing techniques – National seminar on Development of micro-computers in India, Madras, India, October 1983. •	Optimal cotton mix in a spinning mill, 16 th Annual Convention of ORSI, I.I.T. Kanpur, December 1983. •	Budgeting in a textile industry with cash constraints, I.F.O.R.S., Washington, D.C., August 1984. •	Stochastic modelling of fluidized bed reactors and packed beds, 14 th Conference on stochastic processes and their applications, Gothenburg, Sweden, June 1984. •	Investment allocation in a textile mill – A goal programming model, 3 rd Latin-Ibero American Congress on Operations Research and Systems Engineering, Chile, August, 1986. •	Chaired the session on ‘Project Management’ at EURO X, the X th European Conference on Operational Research, Beograd, Yugoslavia, June, 1989. •	Project Management on Micro-Computers, S R K Prasad, R Prabhakar, G Subramanian, EURO X, Yugoslavia, June 1990. •	OR and Rule-based Expert Systems, S R K Prasad, R Prabhakar, OR and the Social Sciences, edited by M C Jackson, et-al, Plenum Publishing Corporation U S A, 1989. •	Operations Research, Artificial Intelligence and Micros – Paper presented at AITA ’91, the Ist National Conference on Artificial Intelligence Technology and Applications, University of Kuala Lumpur, Kuala Lumpur, Malaysia, August 1991. •	OR and Expert Systems Integration – A conceptual framework, S R K Prasad, R Prabhakar – Paper presented at AITA 91, Kualalumpur, Malaysia August 1991. •	Honorary Advisor for publication of ‘Encyclopedia of Operations Research’ to be published by Kluwer Academic Publishers, U S A, under the Editorship of Professors Gass and Harris. •	Cluster Chairman for TIMS XXXIII International for the Meeting held in Singapore in July 1995. 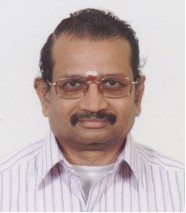 Professor V.Selladurai, Principal, CIT, obtained his Ph.D. in Mechanical Engineering in 1994 from Bharathiar University (PSG Tech), Master’s Degree in Mechanical Engineering (Industrial Engineering Specialization) in 1982 from Madras University (PSG Tech), Bachelor’s Degree in Production Engineering in 1980 from Madras University (PSG Tech). Following his academic qualification, he holds 2 years of work experience as Systems / Industrial Engineer. Holding a strong academic and industrial exposure, Professor Selladurai moved to academics, where he holds 25 years of teaching, research and administrative experience working at different levels in CIT. He holds his specializations in Manufacturing Systems Engineering, Optimization Techniques, Industrial and Production Engineering. Working as an academician, Professor, He has contributed vividly both to industry and academia. His contribution includes 210 national journals, international journals and conference level publications; this is with providing individual guidance to more than 30 Ph.D. research scholars. He had chaired, organized and conducted numerous workshops, seminars and conferences. His developmental work includes obtaining grant from funding bodies alike; AICTE, UGC and DST research projects and delivered new laboratories in different disciplines. He is currently the Principal of Coimbatore Institute of Technology & CIT Sandwich Polytechnic College, Chairman, Faculty of Automation and Robotics, Anna University, Coimbatore and Chairman, Institution of Engineers (India), Coimbatore Local Center. Dr. S.Shanmugam is a faculty of Civil Engineering, working as Associate Professor at Coimbatore Institute of Technology, Coimbatore, India since 1990. He lectures Engineering Mechanics and Strength of Materials, Town Planning and Architecture, Corrosion of Concrete Structures. He is also guiding research scholars for their doctoral programmes and various projects for under graduate and post graduate students. His research areas are Corrosion in concrete structures, Durability studies on structures and Highway Engineering. He has served as Assistant Engineer in Tamilnadu Highways Department and Public Works Department before started his career in CIT. He is responsible for the well established Highway Engineering Laboratory in CIT, and then the same was included in Civil Engineering curriculum. He is in-charge of Highway Engineering laboratory and conducting consultancy works on testing of materials for Highways, Railways, Air Force and Airport authorities for government and other private organizations. He has received research grant from AICTE for Rs.10 Lakhs for the project on ‘Investigation on Prediction of Residual Service Life and Rehabilitation Techniques for RC Structures subjected to Rebar Corrosion’. HE organized a National workshop on ‘Corrosion of Steel Rebars in RC Structures’ in 2005. He delivered Guest Lectures in Government and Private Institutions and Organizations and Chaired sessions in International and National Conferences. He obtained his Bachelor’s degree from Coimbatore Institute of Technology, Coimbatore under Madras University in 1984 and did Masters in Town and Country Planning in Anna University, Chennai in 1988. He did his Ph.D. on ‘Corrosion Liability of Protected RC Beams’ in 2004. He has published papers in International and National Conferences. He is the Life Member of professional Bodies like Institution of Engineers (India), Indian Society for Technical Education, Indian Concrete Institute Association of Structural Rehabilitation , Institute of Town Planners , India and Indian Water Resources Society. Born in an aristocratic family in the year 1944 in Samathur, a village in the southern state of Tamil Nadu, India, he qualified himself as a barrister and later entered into business. But that apart, he came under the powerful influence of the spiritual masters and the great political leaders of India. The high ideals of Swami Vivekananda and Mahatma Gandhi had a profound impact on him. Even during his college days, he emerged as a student leader and came in direct contact with some of the great men in public life. Besides business he took active part in the promotion of the Cultural Heritage of India and for upholding peace and harmony among various religions and cultural groups. As Chairman of the Bharatiya Vidya Bhavan, an organization committed to preserve and propagate the ancient wisdom of India, he has done yeoman service to spread the glory of India through lectures and cultural programmes. Again as Chairman of Divyodaya, an organization founded to initiate inter-religious dialogue, he has worked for preserving the unique pluralistic culture of India. He was responsible for erecting a life size bronze statue of Mahatma Gandhi in his hometown Pollachi, which serves as a symbol of Truth and Non-violence. He was also the first Chairman of KURAL – the Voice of Coimbatore, formed during 2006 by a group of enlightened citizens to act as a common platform for the various NGOs to give expression to the aspirations of the people of this region. As a prominent leader of the Rotary movement, he has worked for Universal peace and brotherhood. As a versatile speaker he has inspired and motivated the youth to emerge as leaders with a strong social orientation. In appreciation of his service, Rotary has honoured him with the “Outstanding Citizen Award” for the year 2001. 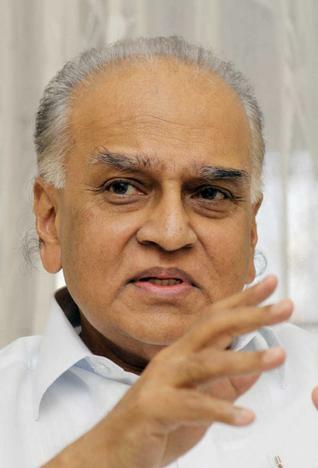 Rotary Club of Aarch City, Madras, gave him the ‘Lifetime Achievement Award’ in June 2007. In the field of education, his contribution has been significant. 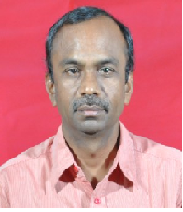 He is the President of N.G.M.College, Pollachi and Co-Chairman of Kumaraguru College of Technology, Coimbatore. He has served in the management committees of many leading schools and colleges and worked for making values an integral part of the curriculum. In recognition of the good work done in the field of education, he was nominated to the Senate and Syndicate of the Bharathiar University, Coimbatore, which he served with distinction. Currently, he is a Member of its Planning Board. As one connected with the Textile Industry, he was chosen to lead the Association representing the Industry, both at the Regional and at the National levels. He handled this responsibility with great vision even when the Industry was passing through a severe recession. Due to his untiring efforts, “The Cotton Technology Mission” meant to increase cotton production was sanctioned by the Govt. of India with a fund allocation of over $150 million. During his tenure as Chairman of The Indian Cotton Mills’ Federation, New Delhi, the apex body of the Textile Industry, a ‘Vision Statement for the whole of Textile Industry’ was prepared with the help of CRISIL and the same was released by the Hon’ble Finance Minister Sri P.Chidambaram. In appreciation of his Global Perspective and Secular credentials, he was invited by H.H.Pope John Paul II to attend the “Day of Prayer for Peace in the World’ held at Vatican, Italy, during January 2002. The speech he made there was widely acclaimed by all the representatives’ world over and the same was published by Vatican Secretariat. In appreciation of his social work wedded to the Gandhian ideals, he was awarded the Degree of Doctor of Laws (Honoris Causa) by Sri Avinashilingam University, Coimbatore, in the year 1999. Sri Ramakrishna Mission, Coimbatore, in commemoration of their Platinum Jubilee Celebrations, awarded him the “Vivekananda National Award for Excellence’ on 4.2.2006. Practiced Law at High Court under Sri Govindaswaminathan, the then Advocate General. •	Chairman, Bharatiya Vidya Bhavan, Coimbatore, since Nov.1990. •	Member, Council of Bharatiya Vidya Bhavan, Head Office, Mumbai. •	Executive Vice Chairman (2001-2007), Bhavan’s Gandhi Vidyashram (Residential School), Kodaikanal. •	Co-Chairman, Kumaraguru College of Technology, Coimbatore. •	President, N.G.M. College, Pollachi, since Oct. 2005. 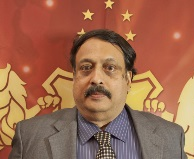 •	Member of the Board of Governors, Bharathidasan Institute of Management, Tiruchirappalli, since Dec. 2001. •	Member of the Planning Board of Bharathiar University, Coimbatore. •	Member of the Planning and Development Committee, University of Madras, Chennai. •	Member of the Committee to prepare a Vision Statement for the Tamil University, Thanjavur, Tamilnadu. •	Member of the Governing Body of many reputed Colleges. •	Member of the Board of Management of The Society for Social Education and Research, Chennai. •	Member of the Management Committee of Kendriya Vidyalaya, Coimbatore. •	Senate & Syndicate Member (1990-96) of Bharathiar University, Coimbatore. •	Managed a group of Tea Estates at Wynad, Kerala since 1972 and then a Parcel Service Company in Tamil Nadu. •	Director in the Board of certain other Companies. •	Member, Council of Administration in The South India Textile Research Association, Coimbatore. •	Chairman (2003-04), Indian Cotton Mills’ Federation, Delhi – the Apex Body of Textile Industry of India. His Holiness Pope John Paul II. commemoration of their Platinum Jubilee Celebrations. •	Awarded ‘Lifetime Achievement Award’ by Rotary Club of Aarch City, Madras, at Chennai on 27.6.2007. •	Awarded ‘Outstanding citizen of Coimbatore’ Award for the year 2001 by Rotary Club of Coimbatore on 26.12.2001. •	Awarded ‘Kongu Mamani’ at Chennai by Kongu Nanbargal Sangam on 25.7.2004. S.Manikandan, working as Librarian and Information Asst. in Anna Centenary Library, Chennai. He has the experience of 13 years in the field of LIS. He has presented more than 15 papers in the national Seminars and Conferences. He has organized three workshops. From 2005 to 2010, he acted as a NCC Officer in the rank of Lieutenant and underwent 3 months basic military training at NCC OTA, Nagpur. Presently Librarian and Information Officer in Anna Centenary Library, Kotturpuram, Chennai. She has 12 years of experience as a Librarian. Her areas of specialization are Research Methodology, Information Literacy, Content management. She has published ten articles in various national and international journals. She has presented more than 25 papers in various conference and seminars. She is an active member of SALIS and presently secretary of SALIS Chennai chapter. Dr. A. Fazlur Rahman received his PhD degree in the year 2013. He has more than 18 years of experience in academic and special libraries. He has published 21 papers in international and national journals and conference proceedings. He is the receipeint of the Tamil Nadu Best Young Librarian Award from the Society for the Advancement of Library and Information Science. He has been invited as an expert by the Avinashilingam University in the implementation of RFID at the University Library. He has conducted national conference, regional workshop, National level Book Fairs and many training programe for Public Librarians. He has created knowledge portal, e-learning platform and other digital library services for the benefit of the students and faculty. He is an associate editor for the national journal of Information Management and Technology published by SALIS. He is a member in American Library Association and Special Libray Association of USA. Mr. M. Leeladharan has nearly 17 years of work experience in the field of LIS. He has presented and published several articles in Conferences and Journals. He has offered free consultancy in establishing a Library for SOS Children’s Village, Puducherry (an independent, non-governmental, social development organization) and offered consultancy in automating Library of Sabari College of Education, Puducherry. He is a recipient of Best teacher award for the year 2010 awarded by Pondicherry University based on the students feedback. Presently working as Deputy Chief Librarian, THE HINDU group of publications, Chennai, India. He has 30 years of experience in LIS field which includes 25 years in THE HINDU. Started his career as an apprentice in Annamalai University Library, he served as Librarian in private Pharmacy, Management and Engineering colleges before moving to THE HINDU. He was also an intern of United States Information Service (USIS) Library, Chennai. He has attended several international and national conferences, seminars and workshops. He was a former Vice-President of SALIS.